Up to 100 hours of video content is uploaded to YouTube every minute. That’s the equivalent to about a feature film every single second. With so much content endlessly flowing through the veins of the internet, it’s becoming a newly evolved human trait to be able to decipher the wheat from the chaff when it comes to online content. Within 5-10 seconds of your video starting, you’re likely to loose 20% of the audience. So the question is, what is the key to higher engagement rates in your videos? At the end of the day content is key. If we have a poorly thought out idea with a complete lack of sustenance, no one is going to watch it. There isn’t much higher production values can do for this. Who’s going to voice your video? A camera can be misleading. Just because your head of comm’s has had experience in public speaking, it doesn’t mean they’re going to be confident with a lens in their face, a few thousand watts of light shinning on them and a lasting reminder to them that everyone in the company has seen them crumble. Often someone with media training or actors/voiceover artists are a much better solution (and not necessarily as expensive as you think). Think about locations… a couple of hundred quid for a studio can make the difference between a highly polished production and something shot in a client’s box-meeting room attached to their noisy office. Use graphics. Graphics can add another dimension to a piece reinforcing key messaging and also appear more visually appealing. Check out how very simple graphics helped lift this piece we did for Cats Protection. Monitor your videos and what people’s viewing habits are. YouTube’s Audience Retention tool is a fantastic tool to find out when people are clicking off your videos and how that compares to other videos in your category. If you’re loosing above average amounts of viewers within 10 seconds of the video starting, it’s either being mis-sold to people to watch or the production values are just too poor to keep people engaged. Work with a team that has tried and tested experience in your sector. Whilst a one man band might be able to knock you up a video for a few hundred quid, what then? Where will it sit, how are you going to generate interest around it and what will you do when no-one watches it? There’s a reason broadcast PR agencies secure great coverage for their clients and it’s not just about their great relationships with the media. So with all things considered, how much is all of this going to cost me? Well how long is a piece of string? A decent PR news release is going to cost anything from £2K upwards. An events package, £3K upwards. 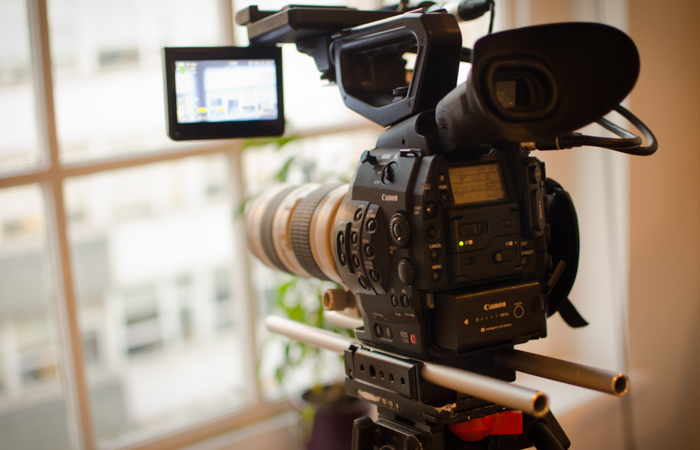 A well produced corporate video – between £750-1500 a minute. If you’re offered it for anything less than that, it’s probably too good to be true and by the time you find out, no amount of polishing will make that turd shine.